Give your dinner table a beautiful contemporary touch with our Burnished Platinum fine bone china plate 27.5cm. This bone china dinner plate uses the highest grade of platinum and is designed by our talented team in Stoke-on-Trent. 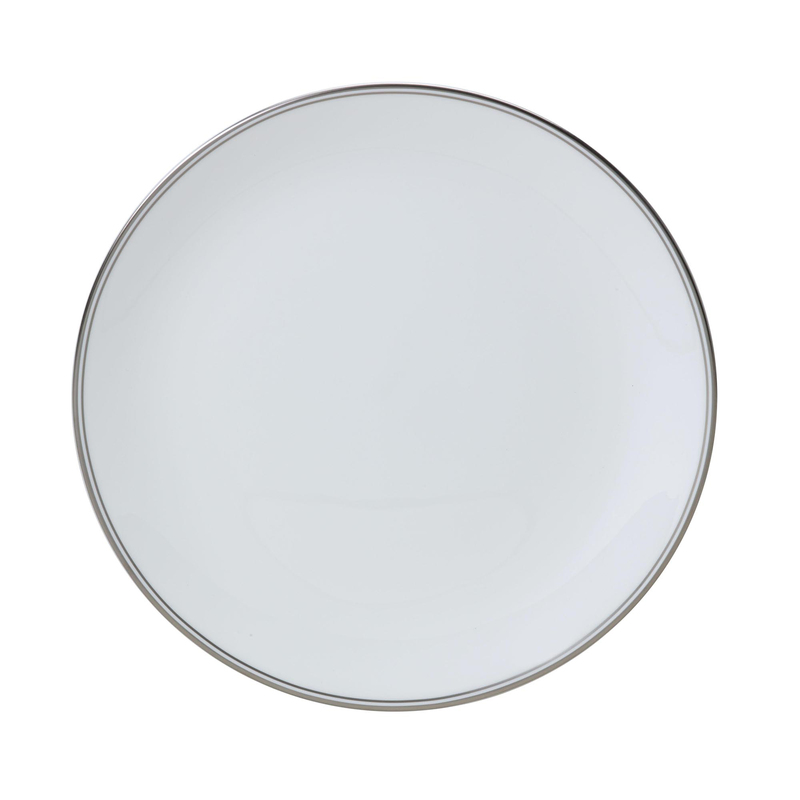 Give your dinner table a beautiful contemporary touch with our Burnished Platinum fine bone china plate 27.5cm. Each bone china dinner plate is hand polished by our team of craftspeople in Stoke-on-Trent and the gorgeous platinum edging is carefully positioned to ensure it's protected from everyday wear. If understated elegance is your style, our Burnished Platinum 27.5cm dinner plate is the perfect choice for you.